Philippines, We've Got Talent: Group 2 had their talent competition last night. 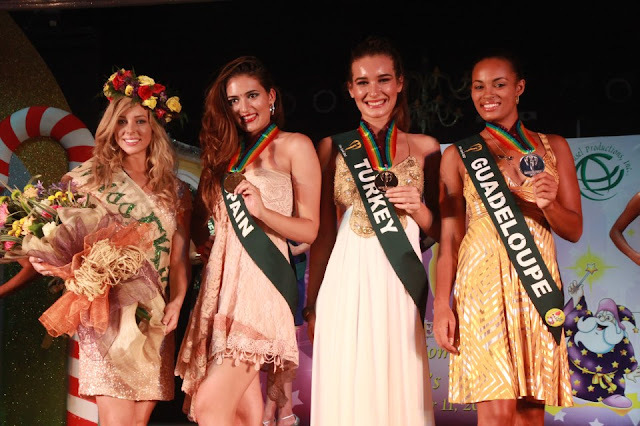 Miss Turkey took gold while Miss Guadeloupe was awarded the silver medal and Spain finished with a bronze medal. At the same event, another title was awarded. Miss Australia was named Miss Enchanted Kindness. More awards will be handed out during the next few days.